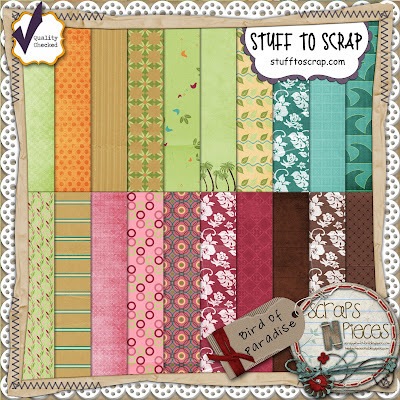 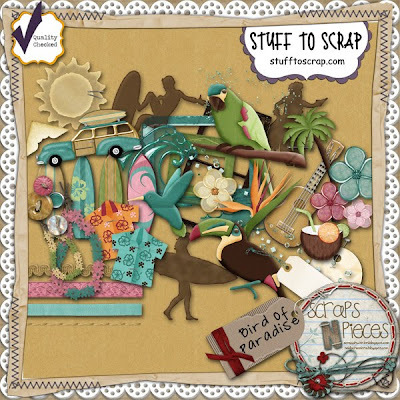 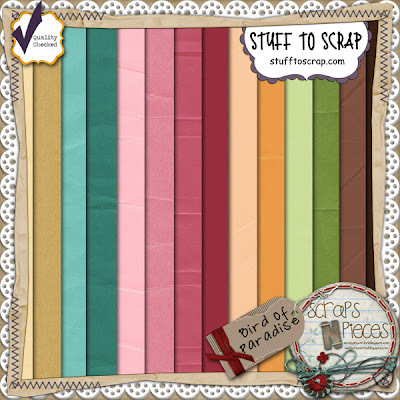 Since it's a new month, that means there are new Build-A-Kit pieces at Stuff to Scrap. 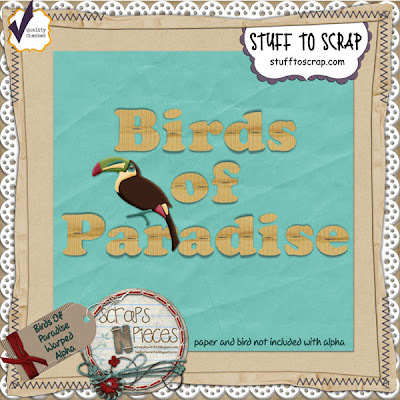 Birds of Paradise is the latest kit from Scraps N' Pieces and is so bright, tropical, and fun. 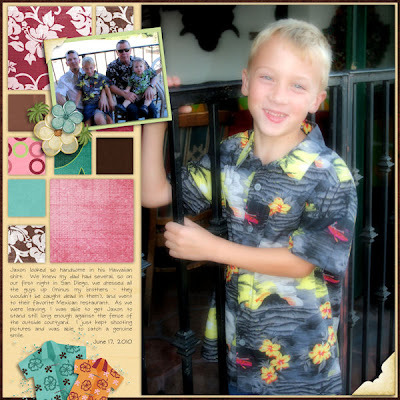 I knew exactly which pictures to use for this one. 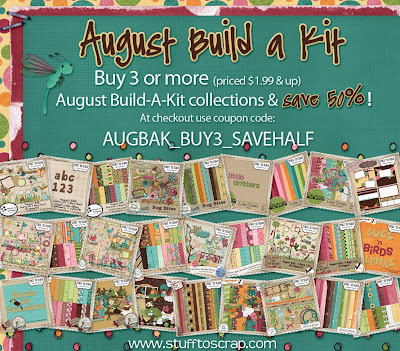 Also, if you purchase any 3 or more pieces of the BAK and use coupon code AUGUSTBAK_BUY3_SAVEHALF, you get 1/2 off your total purchase of BAK pieces.